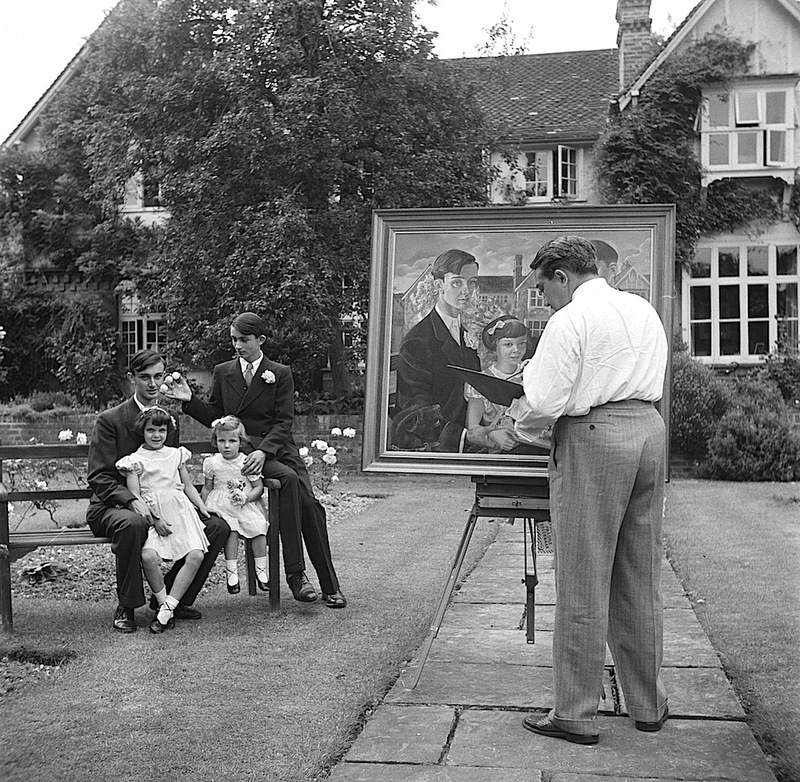 The artist Eppo Doeve painting the Martineau children at “Old Lodge in Terlow (Buckinghamshire),” Great Britain, July 1954, by Willem van de Poll, via Nationaal Archief (Netherlands). I have not been able to find out anything about these siblings or the home. I cannot find an Old Lodge in Terlow, Buckinghamshire, or indeed a Terlow anywhere in Great Britain. The Martineau family is quite important in Birmingham (an ancestor of the Duchess of Cambridge was a Martineau), but apparently not in Buckinghamshire. Perhaps the photographer made some mistake in his notes. The son on the right seems to have three golf balls between his fingers. A young amateur champion? Interesting and rather odd that a British family living in southern England would choose an Indonesian/Dutch artist who, according to Wikipedia, primarily did cartoons. Perhaps the Martineau family had Dutch or Indonesian connections. I wondered if a Dutch painter had mis-spelled the name of the town and checked for any variation that seemed likely. No luck, so still a mystery. Thanks! I put together this post some months ago, and I think the website changed the content of my original link.